It was a crazy final round at the PLAYERS where as many as a dozen or more players were within a shot or two of the lead late Sunday. In the end, it was Rory McIlroy finally breaking through after five straight Top 6 finishes to start the 2019 season. The Florida Swing continues this week with the Valspar Championship and with the PLAYERS Championship last week and the WGC Match Play starting next week, we get a much less appealing field. It does include, however, World #1 Dustin Johnson, #10 Jon Rahm, #12 Jason Day, and defending champion, World #15 Paul Casey. 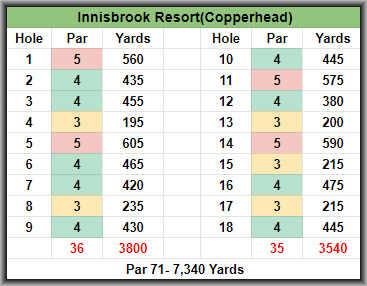 The Innisbrook Resort, Copperhead Course is annually among the hardest courses on Tour. It is a par 71 that stretches 7,340 yards and like last week, there are a ton of obstacles off the tee including tree-lined fairways, doglegs, sand, and yes more water. Once again we will see golfers turn to a "less than driver" strategy off the tee for the most part as positioning and accuracy is much more important than distance this week. 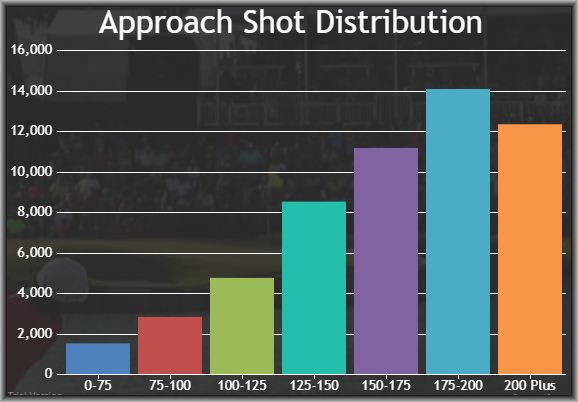 This will leave golfers with more long iron approaches so when breaking down Strokes Gained: Approach make sure to concentrate on the 175-200 and 200+ yard ranges. Adding to the number of long iron shots are the Par 3's as there are not only five this week but all of them are 195+ yards. 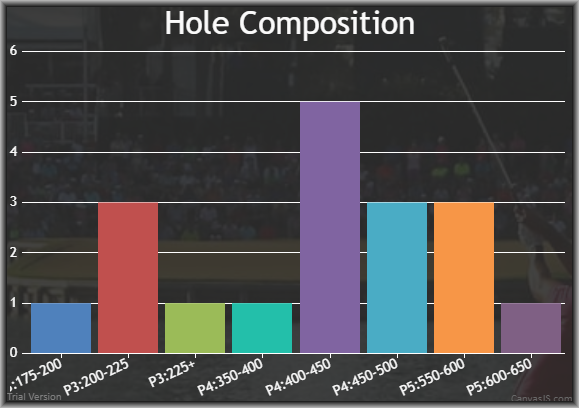 Scoring on the Par 5's will also be important this week as we normally see about 45-50% of all birdies come from these four holes. Survive on the rest, score on the Par 5's! 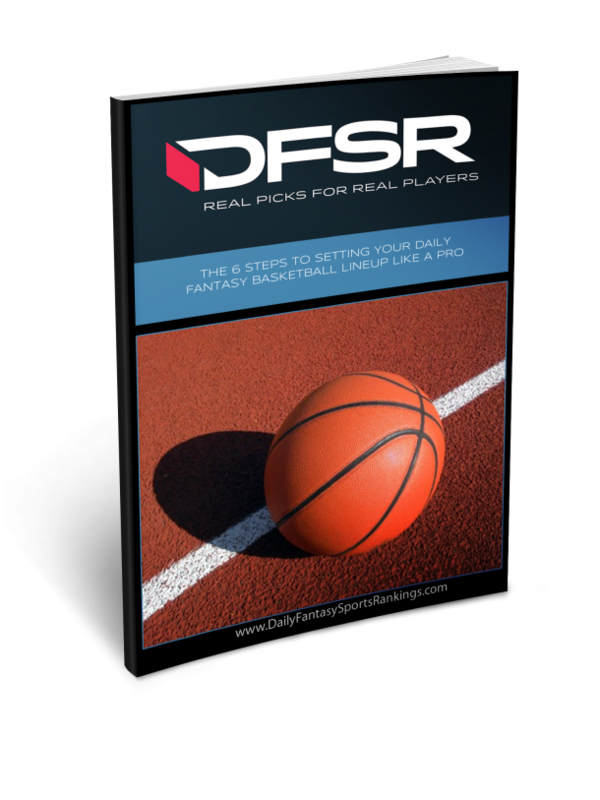 Let's jump in and take a look at some course facts, previous winners, top stats, and then dig into the picks. There are not nearly as many top tier options this week and after the first couple, we see the talent level fall way off. This is not the only reason to load up on DJ this week as he is coming off a T5 at the PLAYERS and win at the WGC Mexico in which he combined to gain an incredible 24 strokes Tee to Green, 17.5 of which came on approach shots. Speaking of approach shots, DJ has gained strokes on the approach in 10 straight rounds going back to the Genesis Open. This is his first trip to the Valspar but he has easily the most upside of any golfer in the field making him a terrific GPP play this week. For cash games, it makes sense to take the big savings and start your core with Webb Simpson if paying up in the top tier. After missing the cut here in 2014 and 2016, Webb rebounded with a T41 in 2017 and his third career Top 10 here at the Innisbrook Resort. He has also been one of the most consistent players on Tour as he is coming off a T16 at The Players Championship and has made all seven cuts this season with two Top 10's and five Top 25 finishes. Finally, he fits the stats profile on my sheet ranking 10th in SG: Approach, 25th in Driving Accuracy, 18th in Par 3 Scoring, 13th in Par 5 Scoring, 22nd in Birdie or Better % and 3rd in Bogey Avoidance. Fire up Simpson in all formats. After a disappointing stretch where Moore missed three straight cuts from the Mayakoba Classic to the Waste Management Phoenix Open, he has returned to his consistent self. He finished T28 at the Genesis Open, T33 at the Arnold Palmer Invitational, and T20 last week at the PLAYERS. Looking closer at the stats from that stretch(via FNGC), Moore ranks 18th in SG: Approach, 5th in SG: ATG, 16th in Fairways Gained, 26th in Birdies Gained, and 11th in fantasy scoring. He now returns the Valspar where he has enjoyed a ton of success before last years missed cut with a T18 in 2017, T3 in 2016, and T5 in 2015. He checks every box this week and despite an increase in price(relative to the field) is a great play in all formats. It is a little odd this week with the talent fall-off after the top tier as guys we normally see in the high $6K/low $7K range are much more expensive. Poston is one of those but I am not worried as he has been a very consistent cut maker lately. He has made 11 of 13 all season which includes a stretch of eight straight which was extended last week with an impressive T22 at the PLAYERS. He finished T14 here at Innisbrook in 2017 and while nothing really pops off the page statistically, he is Top 30 in both Par 4 and Par 5 Scoring and Top 40 in both Birdie or Better % and Bogey Avoidance. He is another mid-range play I will be using in all formats this week. He was on his way to a good week at The PLAYERS with an opening round 69 before posting a 75 and missing the cut by one. It wasn't that he totally fell apart as he only made three bogeys in round two but the problem was that he made no birdies or eagles. Before that, he was rolling along nicely making seven straight cuts and looking at the last 24 rounds stats(for this field), he ranks 12th in SG: Ball Striking(7th OTT, 29th APP), 30th in Proximity from both 175-200 and 200+ yards, 20th in SG: Par 5, and 7th in Bogey's avoided. He is also coming off a Top 10 here last year and at these prices, I will be using Mullinax in all formats. 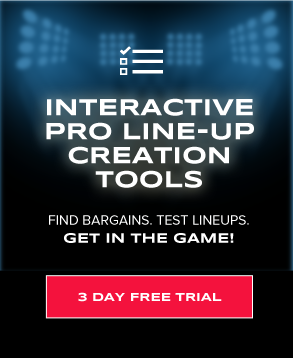 If we are going to be loading up on DJ in GPP this week, we are going to need some value plays to tie it all together. One that stands out is Adam Schenk who is coming off a T29 at the Arnold Palmer Invitational and is having a solid season so far making three straight and seven of his last eight cuts and is 11/14 on the season with four Top 25 finishes. On top of that, he also hits on some keys stats in my model ranking 29th in SG: Approach and 31st in Par 5 Scoring.